Various electrophoresis methods have been adapted for diagnostics and pharmaceutical research. 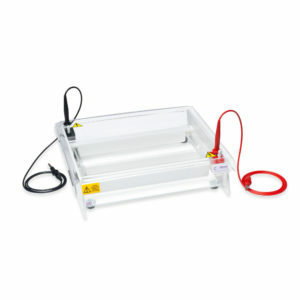 Cleaver Scientific supplies a range of both Cellulose Acetate electrophoresis tanks and kits as well as Comet assay tanks. Cellulose acetate electrophoresis is an important technique in clinical diagnostics. 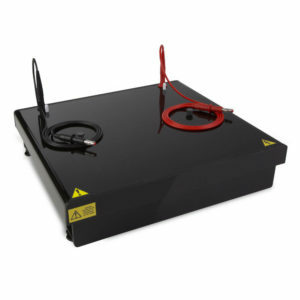 The Cleaver Scientific range of cellulose acetate products offers a complete system solution for research and clinical cellulose acetate electrophoresis applications. CellasGEL includes both equipment and consumables to assit in the research an diagnosis of specific disease states. The Comet Assay is an electrophoretic technique to detect DNA damage in single cells, while embeded in agarose gels. Cleaver Scientific manufactures traditional water cooled comet assay tanks .